Residence Stephanie price per day from € 90 Located 1 km from Pineta town centre, Residence Stephanie is 5 km from Bolzano Exhibition Centre. The private bathroom is complete with a hairdryer and free toiletries. Guests can enjoy regional and national specialities at the hotel’s restaurant or enjoy relaxing moments at the outdoor pool..
Hotel Restaurant Steiner price per day from € 53 Located in the centre of Leifers, 8 km south of Bolzano, Hotel Steiner offers a garden with swimming pool and children's play area, plus a popular pizzeria restaurant. 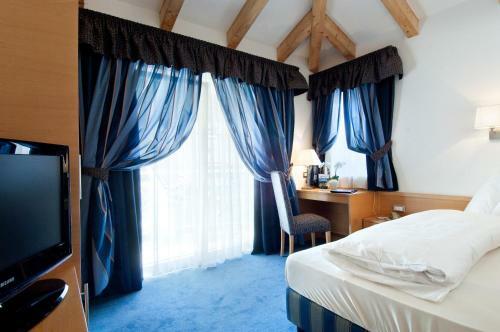 Each with a private balcony or terrace, guest rooms feature a flat-screen TV, WiFi access and a private bathroom. There is also a welcoming coffee bar, open throughout the day..
Hotel Raffl price per day from € 65 Hotel Raffl is set between Bolzano centre and the town of Laives, 3 km from Bolzano Exhibition Centre. 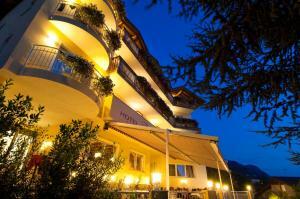 Providing free car and bus parking, Raffl Hotel is a 30-minute drive from Trento and Merano. 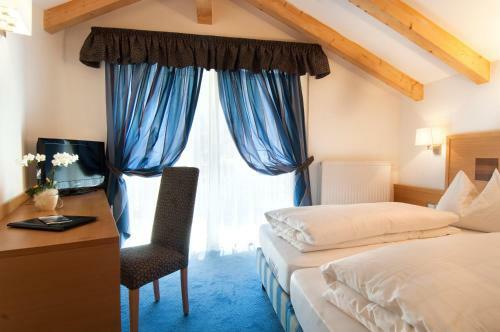 Hotel Steinmannwald price per day from € 70 With a peaceful location in the valley, 7 km from Bolzano centre, the Steinmannwald is a family-run hotel offering bike rental, WiFi and parking all completely free. Most have balconies, some with a view of the mountains or valley. 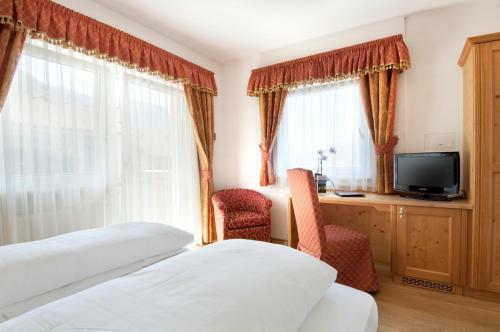 Hotel Girlanerhof price per day from € 190 . 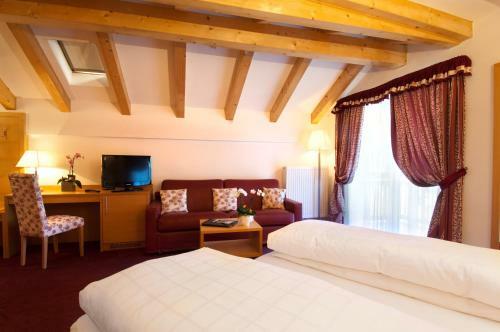 Albergo Casagrande price per day from € 50 Set in the Laives centre, Albergo Casagrande is set in a 16th-century building offering 2 terraces with panoramic views of the Dolomites. Casagrande serves a varied buffet breakfast each morning that includes eggs, cold meats and croissants. 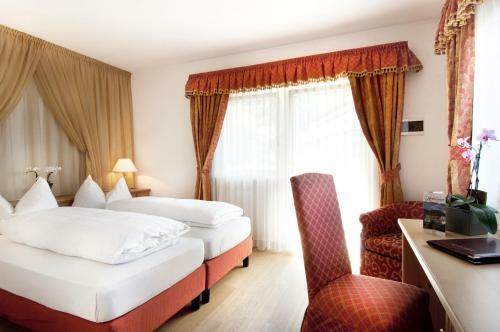 Bad St Isidor price per day from € 48 Only 7 km outside Bolzano, Bad St Isidor is a family-run property with its own restaurant and small swimming pool open during summer. The breakfast buffet includes homemade honey, eggs and bacon. The nearest funicular is 3 km away, while the nearest motorway exit is Bolzano Nord..
Hotel Sigmundskron With a garden and outdoor pool facing the Texelgruppe mountain range, Hotel Sigmundskron is 1 km from the centre of Frangarto. 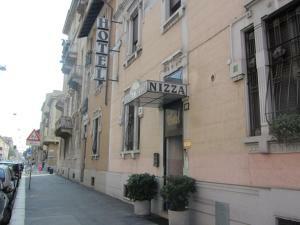 Fitted with carpeted or parquet floors and a bathroom with hairdryer, they offer a flat-screen TV. Town of Monticolo (~3.8 km). 4+ apartments ! Town of Cornaiano (~5.3 km). 5+ apartments ! Town of Frangarto (~6.1 km). Town of Nova Ponente (~6.7 km). 9+ apartments, 2+ villas ! 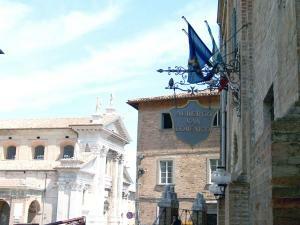 Town of Appiano (~7.4 km). 21+ apartments !